Referenced by LLIMSpeakerMgr::processSpeakerListUpdate(), and LLLocalSpeakerMgr::updateSpeakerList(). 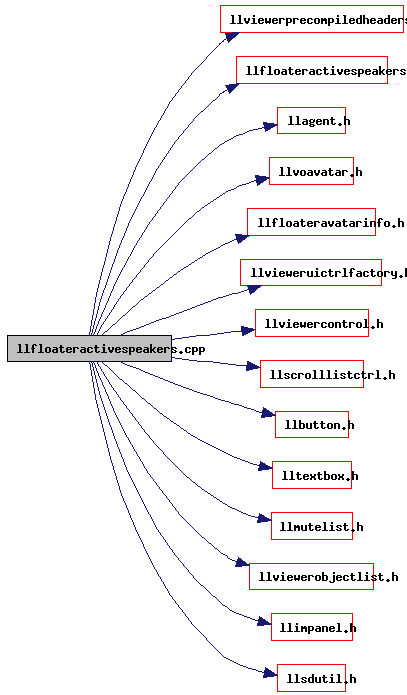 Definition at line 49 of file llfloateractivespeakers.cpp. Referenced by LLSpeaker::LLSpeaker(), LLIMSpeakerMgr::processSpeakerListUpdate(), LLSpeakerMgr::setSpeaker(), and LLLocalSpeakerMgr::updateSpeakerList(). Definition at line 52 of file llfloateractivespeakers.cpp.